Spondylolisthesis is one of the many conditions treated at Tahoe Fracture & Orthopedic Medical Clinic’s Reno, Nevada, facility. This condition occurs when one of your vertebrae (usually one in your lower back) slides forward (“anterolisthesis”) or backward (“retrolisthesis”) over the one below. While some people are born with this condition, others develop it after sustaining an injury, or as a result of degeneration, arthritis, or an infection. 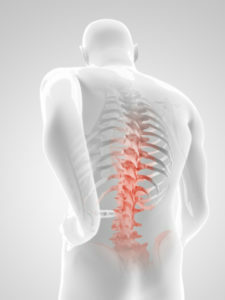 Men are more likely than women to develop spondylolisthesis, and also to experience symptoms related to the condition. We generally recommend that patients with spondylolisthesis first attempt a conservative course of treatment, potentially consisting of rest, physical therapy, hot/cold therapy, pain medication, corticosteroid injections, or a brace. If you do require surgery, you may benefit from a decompressive laminectomy, where we remove the section of the lamina (the back part of the vertebrae) that is irritating the surrounding nerves in order to relieve your pain, or a spinal fusion, where we use a bone graft to increase spinal stability. If you’re concerned that you might have spondylolisthesis, please contact our Reno, NV, office so that we can help you schedule an examination with one of our orthopedic specialists. We look forward to helping you regain your function and restore your quality of life.